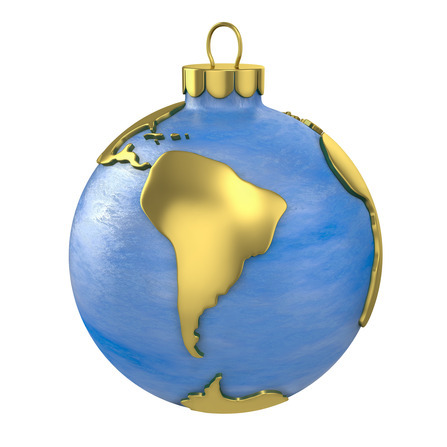 Whilst in many ways celebrating Christmas in South America can be very similar to the way holiday festivities take place in the West, there are definitely some different traditions and spiritual distinctions. With Catholicism strongly entrenched throughout South America, historically brought with the Spanish and Portuguese colonisers, the resulting blend of cultures created some new traditions and ways of observing this religious celebration in honour of the birth of Christ. If you happening to be travelling through the continent towards the end of the year, here’s what to expect over the Christmas period in South America. Christmas translates directly to ‘Navidad’ in Spanish and celebrated throughout the many different countries that make up the continent. As well as acknowledging the religious origin of the festivities through mass, the concept of Father Christmas also exists but is referred to as ‘Viejo Pasquero’ (which translates to old man Christmas.) The traditions of a decorated tree as well as gift giving among family and particularly for children take place but there most countries put their own spin on yuletide feasts with their own customary foods and practices. The term ‘Feliz Navidad’ was popularised by Puerto Rican guitarist & songwriter Jose Feliciano with his song of the same name, a pop song that would have to be the most popular ‘carol’ type song played throughout the hispanic speaking world. It is also worth noting that Christmas in South America falls during the summer so traditional things like turkey are still served, this will often be accompanied by light meals and dishes as well. Probably the biggest distinction is that whilst Western tradition dictates a large family gathering on Christmas Day, the day Jesus was born, the main day for celebrating Christmas in South America is in fact Christmas Eve. Noche Buena or the Good Night in Spanish is the evening where families come together for a delicious feast, and eat, drink and are merry all evening long. Some families will stay up until midnight to open the presents and while others who are more catholically devout will attend midnight mass as well. In the Latin American tradition, this mass is called La Misa de Gallo, Mass of the Rooster, going back to the legend that that a rooster crowed in honour of Jesus’ birth. In Argentina, Christmas Eve comes with an explosion of light shows, fireworks and lanterns. These lights symbolize the birth of Christ and the star which shone over Bethlehem. On the night of Christmas Eve, people will light special globos or paper lanterns and release them into the night sky. In the city, you can see the sky filled with these small lanterns. All this leads up to the special celebrations at midnight, when people exchange presents, launch fireworks, and celebrate being with their loved ones. Another traditional way to celebrate Christmas in South America, particularly in Brazil is to watch a play called Los Pastores. 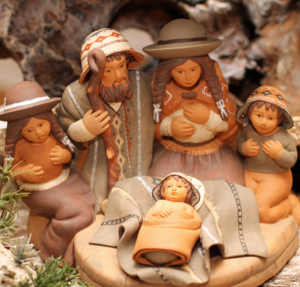 In this story, a gypsy steals baby Jesus from his manger and he is rescued by a group of shepherdesses. In honor of this story, Papa Noel leaves gifts for children and infants. While it is popular throughout Latin America, Brazil is famous for its portrayal of this story. If you are there during the holidays, it is definitely worth watching to see how the Santa Claus legend has adapted and changed throughout the world. Like the rest of South and Latin America, Christmas in Chile is both a religious and family affair. For Christmas, a special Christmas bread ‘Pan de Pascua – filled with preserved fruits and nuts will be prepared in advance and served with the Chilean (alcoholic version of egg nog) call ;’Cola de Mono’ (translating to monkey’s tail – we can’t figure out why.) This milky drink includes coffee, sugar, cinnamon and a spirit liqueur for some bite. 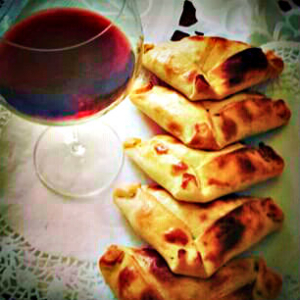 Expect traditional meals such as empanadas and pastel de choclo to make it to Christmas menus as well. Ecuador celebrates Noche Buena all day long with parades and celebrations honouring the child of Christ. The largest and most famous parade is in the city of Cuenca, where year after year people gather to honour the journey of Mary and Joseph. Wise men and shepherds follow a star through the streets, alongside native animals such as horses and llamas, bearing local fruit and gifts. The statue of baby Jesus is carried through the streets to the Cathedral, where he is blessed before the services begin. Christmas in Peru comes with a touch of Andean flavour and style. 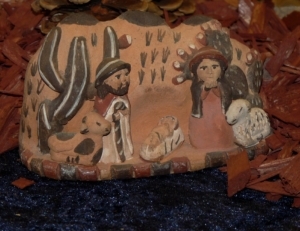 The nativity scene is an ubiquitous part of South American Christmas decorations. When walking down the streets, a sharp-eyed traveller may notice some very different details in the nativity scenes lining public spaces. The holy family—looking remarkably Peruvian with darker skin– gathers around baby Jesus in the manger, surrounded by loving animals. 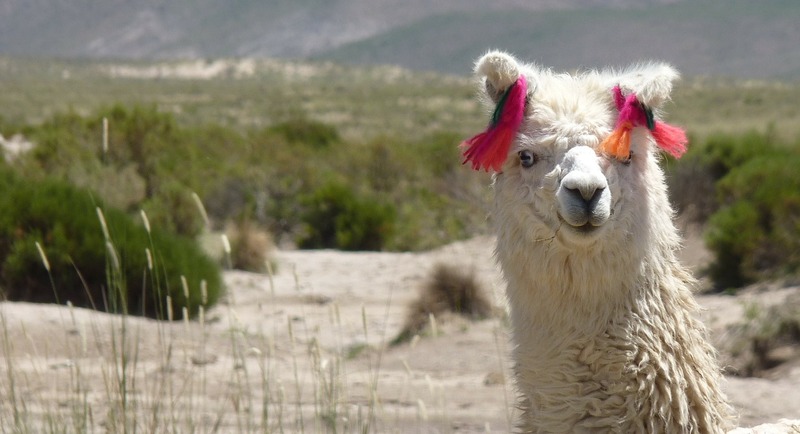 These include the faithful llamas that watch over the holy family in place of their Middle Eastern cousins, making it a true Christmas in South America scene. It is traditional to dress up llamas in knitted decorations around Christmas time.